Discussion in 'Automobilista - News & Announcements' started by Renato Simioni, Nov 25, 2017. Automobilista v1.4.9 is now out - includes new Metalmoro AJR Prototype, a new turbo model, revamped native HUD system, updated Spielberg track & more! EDIT 2: now updated to v1.4.93 - a new hotfix, hopefully rounds up v1.4.9 to minimal issues. IMPORTANT: Audio configuration has been reset to STEREO SPEAKERS to address a configuration issue - if you have another audio configuration please run AMS Config and review the setting accordingly. Very impressive change log list, thanks a lot! So many new things to try! Still not up to v1.50? 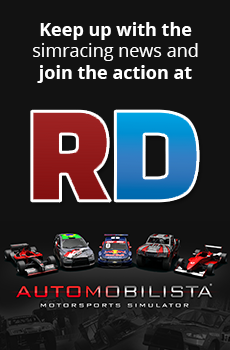 You guys are doing a great job in making Automobilista even better, update after update ! I assume this will take a while to update on VX? There still seem to be some super fast Cat B lap times. Does the Metalmoro V10 Judd exist irl? I guess so....Any info? thanks for the new update, the new metalmoro is very good. any clue to the new DLC? Fantastic news. Another step to the final 1.5 is done. Great work, guys. No. Irl it still in development, and are using a V8, without any tuning. But his project includes the possibility to use a set of another motors/gearboxes. Yeah per the October dev update it's being designed to be able to have a whole load of different engines, remember it's still a car in development which makes it really weird and cool to have it in a game already. How about editing the Native Hud? is it possible? Sobre editar o HUD NATIVO? É possivel? New HUD IS native hud. It does not, but Metalmoro provided us the list of supported engines. All engines which we modeled ingame can be "bolted" in real AJR. I like the new HUD, but maybe some of it's values are a bit too precise? The deltas, for example, are updated at 60Hz with 3 decimal precision, making it a quite hard to read. Perhaps its better to truncate them to 1 decimal, and/or reduce update rate? P.S. The new rides are AWESOME! And all the little fixes and such, best devs ever, no doubt...always listening. Thanks for all your hard work Reiza!